Each week we will be covering two top stacks, a value stack, and a contrarian stack. Playing two or more players from the same team can add to your ceiling, especially if that team goes off. Stacking is a great way to get an advantage in tournaments, and even cash games. 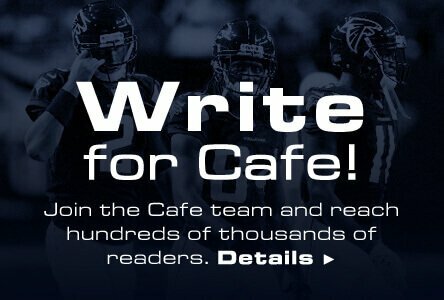 We will narrow down projected fantasy points, ownership, and info for their matchups. While I'm not exactly dying to jam four players from one team into a lineup, this would be the spot to do so. The Saints have a massive total nearing 30 points this week, and the value and upside for the black and gold is fairly easy to predict. Alvin Kamara has been on an absolute tear in his rookie season, totaling 12 TD on the season, and has at least 17.9 FD points in each of the last six games he has finished (he left Week 14 with an injury), including 22+ in five of those games. Over that same span, his fellow RB Ingram has multiple games with at least two scores, and although his floor/upside combo hasn't been quite as good, he makes for an elite pivot off of Kamara, who continues to see less snaps each week, although he has been more productive on a per-touch basis. Michael Thomas has now scored in three straight games, although his new salary is indicative of a player who has been dominating as well. The Falcons rank 19th against the pass and 30th against the run, per Football Outsiders (FO), which bodes well for a Saints team that has been tremendous on offense all season (28.6 PPG, 3rd-best in NFL). I'm actually fine leaving Brees off of this stack if you want to roll with less Saints, and the RB duo itself should draw plenty of ownership. Fire 'em up! Perhaps it is the diehard Bengal fan in me, but this team (and defense) is in complete shambles right now. Over the last three weeks, only the Texans (31.7) have allowed more PPG than the Bengals' 30, and this week doesn't look to get much better. The Lions have everything to play for in the midst of the crowded NFC playoff picture, and if you'e a fan of taking a stroll down #NarrativeStreet, this is the first time that Jones will match up with his former team. With Adam Jones (although he had been awful this season, ranking 91st among CB per PFF) OUT and Dre Kirkpatrick still Questionable, this "defense" will be drawing a very tough task against this pass-heavy Lions attack. The Bengals have been beaten down by the likes of Case Keenum and Mitchell Trubisky the last two weeks, and the sledding will get much tougher against the $135 Million man in Stafford. Cincinnati ranks 18th against the pass, per FO, a number that seems very generous due to their recent play. Ebron is a nice cheap part of this stack as well, as he has 15 catches (18 targets) for 127 yards and a score over the last two weeks, and is listed just above minimum on both sites. I know what you're thinking here, and I get it. The Pats are far from a contrarian option this week, especially considering the fact that they have the highest implied total on the board. However, with Rex Burkhead officially "Doubtful" (he isn't going to play) for this one, I'm expecting the Pats to rely heavily on the run once again as they look to move into the postseason on a healthy note. In the last matchup between these two teams, Tom Brady threw for just 258 yards and no scores, and the world freaked out about how he had finally fallen off a cliff. Here's what really happened. Burkhead went for 12-78-2, Lewis went for 15-92, and even James White totaled 50 scrimmage yards on 9 touches. We know the recipe for beating the Bills by now, and that's by running the ball. FO ranks Buffalo 28th against the run, and the 19 rushing scores they have allowed this season is easily the worst in the NFL. Pair these backs up with a defense that absolutely dominated in Buffalo a few weeks back, and you have the potential for a game-changing stack without the expensive pieces in Brady, Cooks, and Gronk. After the DFS world had given up on Kareem Hunt (and the rest of the KC offense), they have responded by posting consecutive big games. Hunt has now posted 138 and 206 total yards in his last two games, and has found the end zone three times over that span. Hill has at least 75 receiving yards in three straight games, and has a trio of scores during that span as well. We all know the up and down nature of Alex Smith, but he has GPP-winning upside as evidenced by his 25+ FD points in five games this season, including two with at least 31. The Dolphins have actually improved on defense of late, which should lead to some lower ownership for this stack. Miami ranks 27th and 15th against the pass and run, respectively, per FO, and the Chiefs suddenly find themselves back in the drivers seat in the AFC West after last week's dismantling of the Chargers. There is a much lower floor with these guys than we like to see, but the upside is massive across the board.